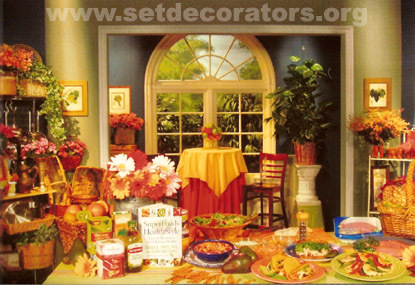 Philip A. Hoffman, designing since 1985 for advertising and entertainment as well as commercial, office and residential environments, began his career designing product shots for consumer print advertising. His more notable works include international commercial spots for Pepsi, national campaign ads for Budweiser and Madonna’s “Vogue” video. Utilizing his landscape design degree, Philip designed greens and exteriors for the film “Tremors” and the ABC TV drama series “Equal Justice”. 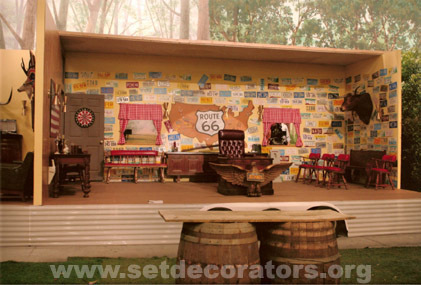 Philip has coordinated set decoration on the studio films, “The Great White Hype”, “Deuces Wild” and “The One”. 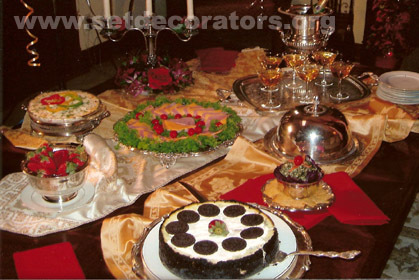 Most recently, he completed work as a visual consultant on the soon to be released film “Invincible” for Disney. When not working on feature films and commercials, Philip has produced, as well as, designed for TV broadcast on feature film press junkets including “America’s Sweethearts”,” Terminator 3”,”Scooby Doo”, “Constantine”, “Cinderella Man”, “Batman Begins”, “Charlie and the Chocolate Factory”, “Corpse Bride” and “Wallace & Gromit”. An on-going relationship with Warner Brothers and press for the “Harry Potter “films continues today initiated from work as the designer for a spec reel for the “Harry Potter” franchise. Philip is an active member of the UCLA Alumni Theatre, Film & TV Association, The Set Decorators Society of America, a voting member of the Video Premieres Academy and an Art Advocate of the Museum Of Contemporary Art, Los Angeles. Undergraduate studies in communications and design for advertising and marketing. B.S. Degree in Environmental Design specializing in Landscape Design and Contracting. Graduate studies in film at USC, AFI and finishing at UCLA; and later an effective education in networking from the UCLA TFT Alumni Association. Best tools for research: Private libraries, museums and their curators either resourced from subscriber directories or from the Internet. Best tools for learning: Trade Associations. Inquiring dialogues with designers in all professions that are a technological generation older than you are and have had to solve similar design projects to yours, without the luxuries of modern technology are invaluable resources. For both research and learning: Networking. There is nothing like discovering the obscure information that never makes it to picture, print or the Internet that really brings a genuine life to your work. Re-creating period boxing rings for TV and Print Press for the feature CINDERELLA MAN. I had already learned to appreciate boxing from my father and it took a lot of design consideration to make those period style rings versatile enough to come together and be able to accommodate the needs of camera. Next, a narrative fiction cable TV show called ROOSEVELT GARLAND that required I create a two scene three act set for TREASURE ISLAND on a legitimate theatrical stage, followed by both interiors and an exterior town for a classic American TV western and a world class private collector’s Asian art gallery all in the same show- what could be more fun than that! 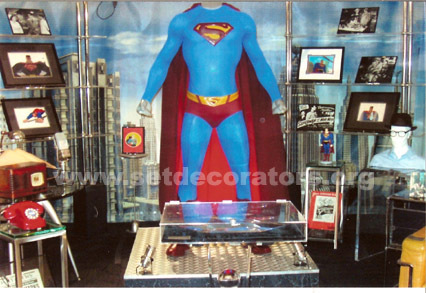 And most recently, I was asked by Warner Brothers to curate and design a Superman History Museum for DVD and online viewing celebrating all the different aspects of Superman. Superman is my favorite graphic hero and I’ve loved watching re-runs of the original TV Superman shows with George Reeves since I was a child. The museum project involved the creation of backdrops, platforms, mannequins and case goods to showcase very specific objects of interest. Convincing people of the value of investing the time into diligent research as the means to an end for creating good design. Good research creates a foundation of knowledge that allows a person further freedom of creativity and the opportunity to depart from convention and still achieve the objective of a successfully functional design. 5. Please list any SDSA business members with whom you do business and comment on them. I love to do business with Sony Property (franksimpson@spe.sony.com); I can never thank all of them enough. Set Masters (http://www.setmasters.com) has been invaluable to execute my fabrications and “builds” under the most extraordinary of circumstances and time frames, always with a smile on their face. I will always have special thanks to History for Hire (http://www.historyforhire.com) for helping me ferret out the obscure well beyond the confines of their prop house and to Omega (http://www.omegacinemaprops.com) for having that one item I conjured up in my dreams, but could never find anywhere else. Two plastic pull out drawers to store resources and directories. Lots of carry all bags- I like to think of them as soft portable filing cabinets. An additional bag packed with an all-weather change of clothes and sundries. A never-ending supply of water. First, learn your craft from those who have preceded you and later continue learning from those who will come to work for you. Second, that we all must first identify ourselves as “design professionals”, and then behave accordingly to share and enjoy the respect that design professionals world wide outside of the entertainment industry receive. My Pen because I make notes of everything- it’s the only way to keep many small details from falling through the cracks. My watch because without it I would not feel the pressure of time pushing my productivity. The last is rather an asset than a tool. They are my mentors and friends I have made and to them I owe my thanks because you can’t be successful in this business entirely on your own. 9. 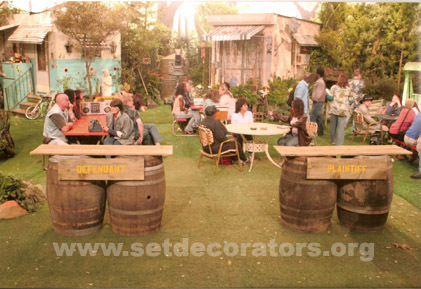 Biggest set decorating disaster? Working on one of the HARRY POTTER press junkets in NYC. 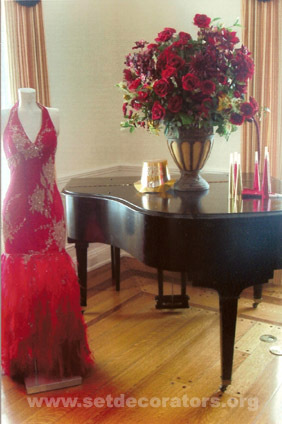 I selected props and set dressings working entirely from Los Angeles to be shipped from the sets in England based upon blue prints I requested for the venue. The NYC venue had been remodeled and the blue prints I received for the location no longer matched current construction. 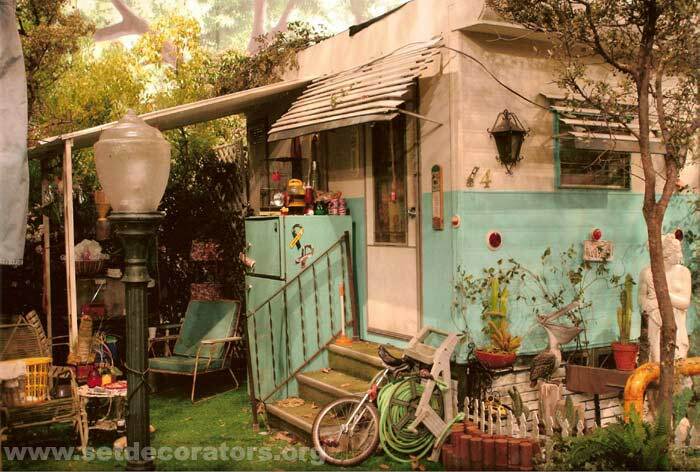 Both the building as well as many props and set dressings had to be modified for the installation; restored for the TV tapings, modified again to allow for the strike and all returned to their original condition to finish the job. All completed within the original time frame scheduled for the project. Network by getting involved in the activities of the SDSA. Belong to a few committees and then decide which ones fit you best. Then narrow your activity to two committees and really try to champion your participation in one of those committees and be a supportive team player on the other.